While a boisterous audience of COPS/Metro Alliance members cheered them on, candidates for San Antonio mayor and city council pledged to fight Senate Bill 4 - the anti-sanctuary city law - starting on the day they take office. About 350 people packed the Dominion Church of God in Christ on May 22 for a Get Out the Vote Rally and Accountability Session where candidates were asked to give yes or no answers to questions about the COPS/Metro agenda on SB4, affordable housing, immigration and living wages. Answering in the affirmative were District 4 Councilman Rey Saldaña, who was re-elected and District 7 Councilwoman-elect Ana Sandoval. Runoff council contenders who also answered yes were: District 1 Councilman Roberto Treviño and candidate Michael Montaño; District 2 Councilman Alan Warrick and District 6 candidate Melissa Cabello Havrda. Mayoral candidate Councilman Ron Nirenberg also answered yes to the COPS/Metro agenda. COPS/Metro leaders told the Assembly that Mayor Ivy Taylor did not agree to meet with the group and also would not commit to the COPS/Metro agenda. The COPS/Metro leaders at the event represented parishes and churches from across San Antonio, and pledged to turn out a combined total 9,330 votes in the June 10 runoff election. Watch video of the assembly here or scroll down for links to key points in the video where candidates responded to the questions. Will you support joining the suit against Senate Bill 4, the anti sanctuary cities bill, as soon as possible? Do you commit to increase the city’s investment in owner-occupied housing rehab to $4.9 million through Community Development Block Grant/HOME funds and $1.5 million through the Public Facilities Corporation? 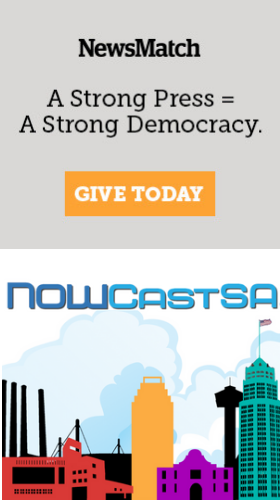 Do you commit to create a citywide municipal ID for all San Antonio residents, and a legal defense fund for citizen children who have lost their parents? Do you commit to raise the city’s minimum wage for city workers to $14.75 per hour and the wages for contract workers to $9.50 an hour, and raise the city’s investment in Project QUEST to $2.5 million? Similar questions were posed to the candidates at a COPS/Metro Alliance Assembly on April 23 with more than 700 people in attendance. See our story and video here.